My family loves pasta in any form and pasta shells are a big favorite! This dish is easy to make and feeds a crowd. The recipe makes two 9×11 pans. When I make it I often serve one for dinner and freeze one for later. It’s also an excellent dish to take to a potluck dinner. 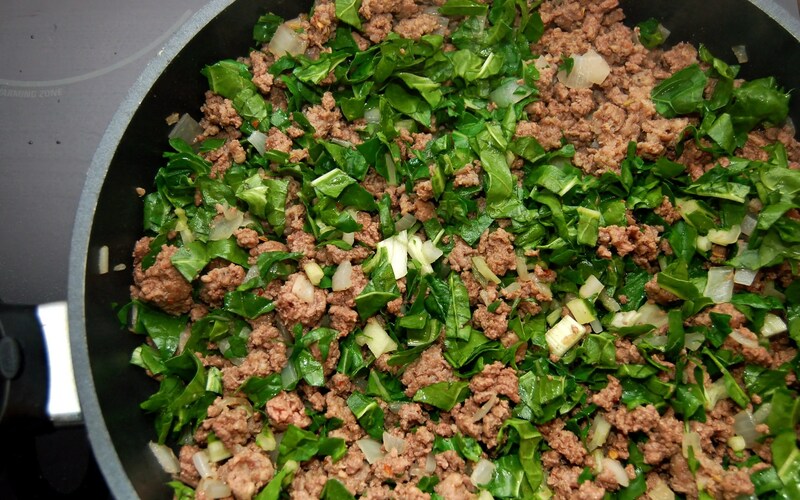 While I usually make this dish with spinach it also tastes great if you use swiss chard instead. 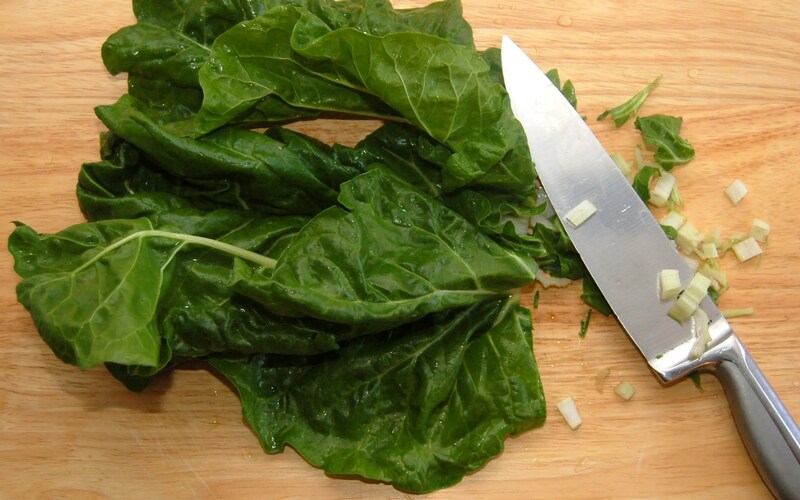 The crunch of the swiss chard stems adds a nice texture to the dish. Don’t let the amount of cheese scare you; while it is a rich dish it does make at least 40 large shells and I find 3 shells is a nice serving size. Add a nice green salad and you have a delicious meal. Brown hamburger and sausage, add onion and garlic and cook until onion is soft. Add spinach then cook until the spinach is wilted. Mix beef mixture with the cheeses and stuff into pre-cooked pasta shells. Don’t over cook your pasta shells as they will cook more during the baking process. 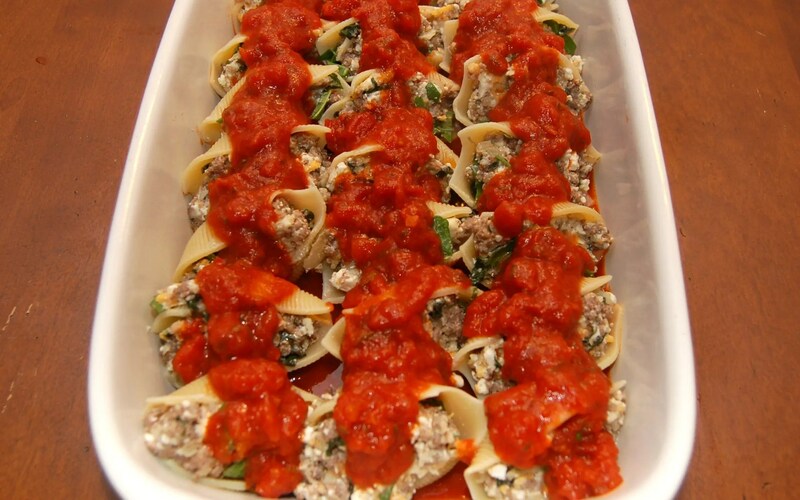 Cover pasta shells with tomato sauce. Add a half cup of chicken stock, cover with tin foil, and bake. Easy to make and feeds a crowd. 1 teaspoon fresh ground pepper or to taste. 40- 50 jumbo pasta shells, cooked and cooled. Brown sausage meat and beef. Mix in onion and garlic and cook until onion is soft. Drain fat off if necessary. Add in spinach and cook until wilted. In a large bowl mix meat/spinach mixture with egg, half of the mozzarella, half the Parmesan and all other cheeses . I usually find with all the cheese there is no need to add salt but I like about a teaspoon of fresh ground pepper. Put a layer of the pasta sauce at the bottom of your casserole dishes. 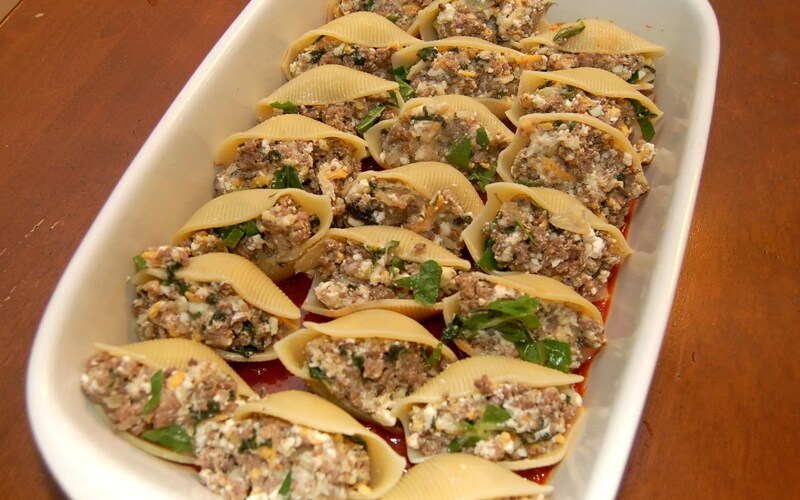 Spoon meat and cheese mixture into pasta shells, then add stuffed shells in single layer. Pour pasta sauce over shells until nicely covered with sauce. Add 1/4 cup of chicken stock per pan. Cover pan with tin foil. Bake in a 350 oven for 45 minutes. Uncover and sprinkle with remaining mozzarella and Parmesan. Return to oven for 5 minutes until cheese is melted. This makes a very large batch. I usually make two 9 x 11 pans and cook one for dinner that night and freeze one for later. 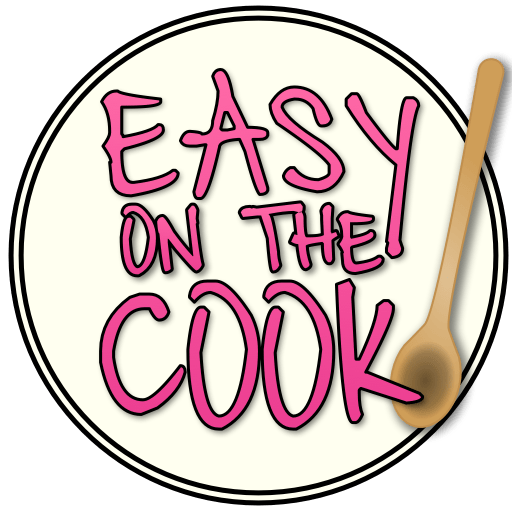 When I am ready to serve the frozen dinner I thaw in the refrigerator overnight then follow the same baking instructions.